Ken Jennings: In 'Maphead,' Geography Lovers Find Each Other Former Jeopardy! 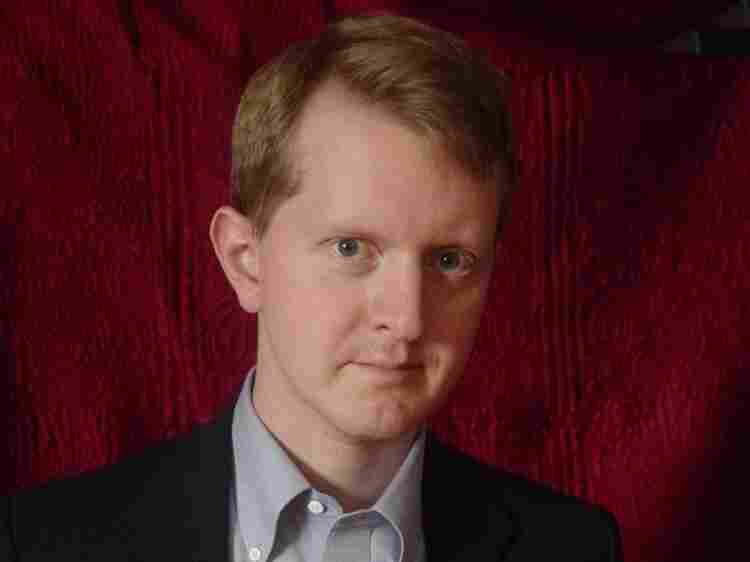 champ Ken Jennings charts what he calls "the wide, weird world of geography" in his latest book, Maphead. He profiles Google Maps engineers, geocachers, imaginary mapmakers, map collectors, geography bee contestants and "road geeks." Do you ever read an atlas for pleasure? If you go to a new city, can you imagine not knowing which way is north? Is it hard for you to imagine life without a map? Then you might be a maphead, says trivia buff Ken Jennings. "If there's a map on the wall of the room, people like us just cannot turn away," he tells Fresh Air's Dave Davies. "There's just something hypnotic about maps." 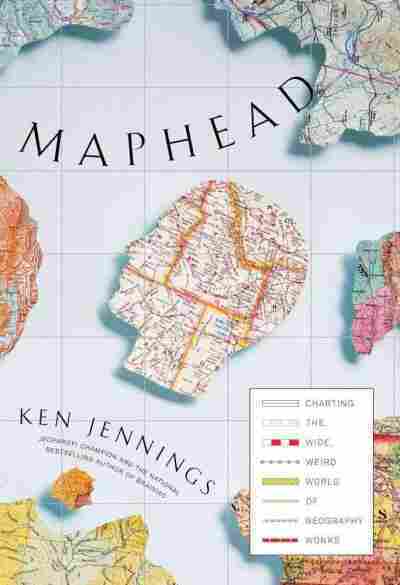 Jennings, who rose to national prominence in 2004 with his 74-game winning steak on Jeopardy!, charts what he calls "the wide, weird world of geography" in his latest book, Maphead, which profiles Google Maps engineers, geocachers, imaginary mapmakers, rare map collectors, National Geographic Bee contestants, roadtrippers and other "mapheads" who love latitude, longitude and everything in between. One of the places Jennings visited was the Library of Congress map division, which holds more than 4.5 million items. "The librarian there told me that it had to be in the basement because the holdings were so heavy that if you tried to put the maps and atlases on the top floor, they would fall through to the basement anyway," he says. "It's a library straight out of Jorge Luis Borges. It's a football field's worth of shelves as far as the eye can see — full of maps and atlases — and it seemed like the librarian could, at any point, pull out any of them and pull out some historical treasure." For instance, the library contains George Washington's hand-drawn map of Virginia, as well as the maps from the Versailles conference at the end of World War I and Theodore Roosevelt's maps from South America after his presidency. "It's just amazing," says Jennings. "It's just like a walk through history to look at these maps." Ken Jennings won 74 consecutive games on Jeopardy! "It's a minor form of celebrity," he tells Fresh Air's Dave Davies. "I ended up getting a dozen right, and she ended up getting all but one of them," he says. "She beat me by a margin of 10 questions. It was like we were in a different league. She's in the pros, and she's going up against some Little Leaguer." Jennings says that contestants know so much, they start running out of material to study. "They're frantically going to the library for new books in hopes of finding new facts about the world to learn," he says. Jennings also met with a group of mapheads he calls "road geeks." A road geek, says Jennings, is someone obsessed with the interstate system of roads. That's what unites all of these people: a desire to be explorers even though they were born centuries too late for the real era of exploration. "They like to clinch roads — which means to drive on every inch of a certain highway — and they're interested in minutia as far down as the streetlamps on a certain length of road, or the typefaces on the signs," he says. "They notice when the government changes typeface on the interstate system. They're scholars — they drive around on these roads, taking pictures of road signs and trying to find mistakes to write their congressmen about — or taking pictures of road construction projects as they develop. This is their life." Jennings says that "road geeks" are united by their need to be in actual places. "They like to catalog and study things that could surround them," he says. "We live in an age where the world feels very explored. ... That's what unites all of these people: a desire to be explorers even though they were born centuries too late for the real era of exploration." "We don't realize how hard it was to drive anywhere outside the major cities less than a century ago. After World War I, the U.S. government ordered a tank convoy of jeeps to cross the country, and it took them months. There were casualties. There were injuries. A huge percentage of the jeeps that set out couldn't make it because the roads were so terrible. [The publisher] Rand McNally, looking for a way to map these roads ... could only give you directions: turn left at the barn, or turn right at the grove of poplar trees, or whatever. There was no signage, and this was not working out. "... 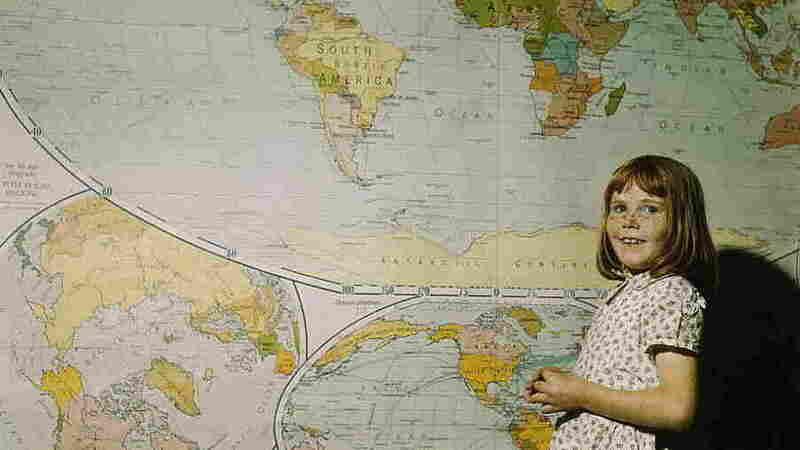 Wanting to have easier-to-read maps, Rand McNally held an inside contest for suggestions. And one of their designers said, 'There is no way to make the maps match the territory. We need to make the territory match the maps.' So Rand McNally decided to create their own numbering system for roads in the U.S., and then they sent groups to paint their numbers alongside every highway that needed one. They called it the Blazed Trail System. ... They would paint little flags with numbers and signs along these highways. The road atlas came first, and they had to change the maps to match it. ... It became a hit, states started to do it, and finally the government imposed the system we have today." "These are people who are using GPS systems to find millions of little hidden objects throughout the world — often as simple as a piece of Tupperware hidden in the woods. You go to a website, you get the latitude and longitude to get the specific location of a certain specific hiding space, and then you go there and see if you can find it. Often it's as simple as a piece of Tupperware with some Happy Meal toys for the kids ... you can find hidden under a rotting log in the woods. Sometimes they're more ingeniously disguised, or there's a puzzle you have to solve. It's a culture of 4 million people who are all over the Earth right now looking for treasure that the rest of us don't even know about." "I can't relax and sink back in the couch and watch Jeopardy! the way I used to. That's sort of the one regret I have is, when I hear that music or I hear Trebek's Canadian accent, I used to get excited and now I just get panicky. It's like an adrenaline rush — I have post-traumatic game show stress disorder or something. I cannot relax into Jeopardy! the way I used to."